From the same brand as the 2017 Small Hotel of the Year, Belize Tourism Board & the 2018 Beach Front Hotel of the Year, Travel & Hospitality Magazine. 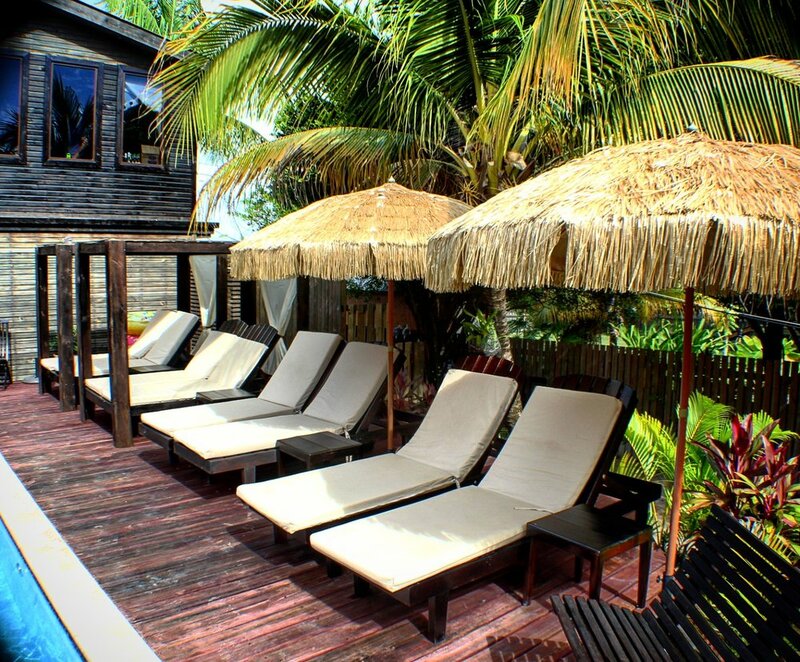 PUR Boutique Cabanas are the newest, adults-only, boutique cabanas on the tropical island of Ambergris Caye, Belize. The cabanas are a high-end, modern yet vintage, rustic-luxury experience, with a social, intimate, boutique hotel atmosphere, on-site full bar and Taco Bar, swim up pool bar, in the heart of the BEST neighborhood in Ambergris Caye - Tres Cocos, a mile north of the bridge. 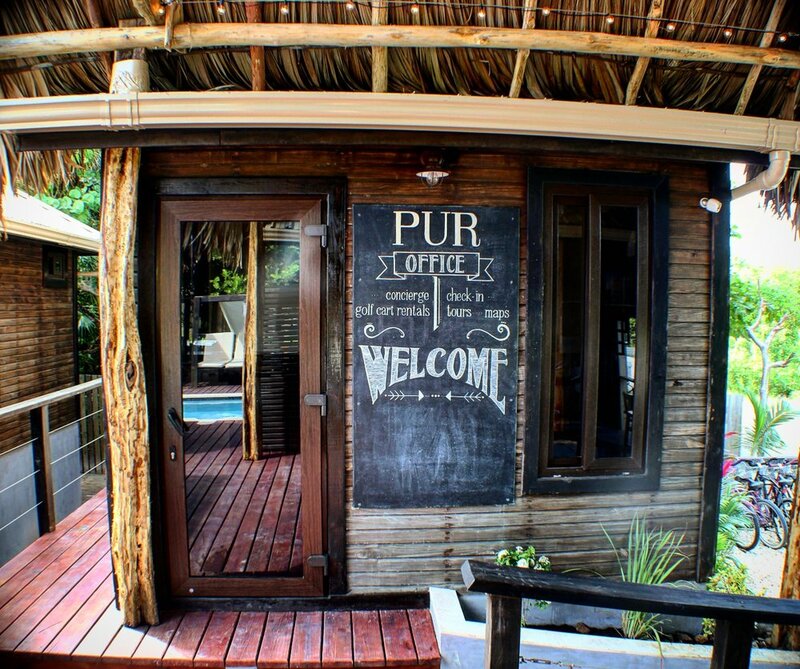 You will get to know our friendly and welcoming staff well, and meet other travelers from all over the world - the vibe at PUR is anything from relaxed and tranquil, to an energetic social scene. There are so many choices on the island - and so many reasons you can choose us and know you will have the best, most memorable experience possible...our goal is to make you a return guest! 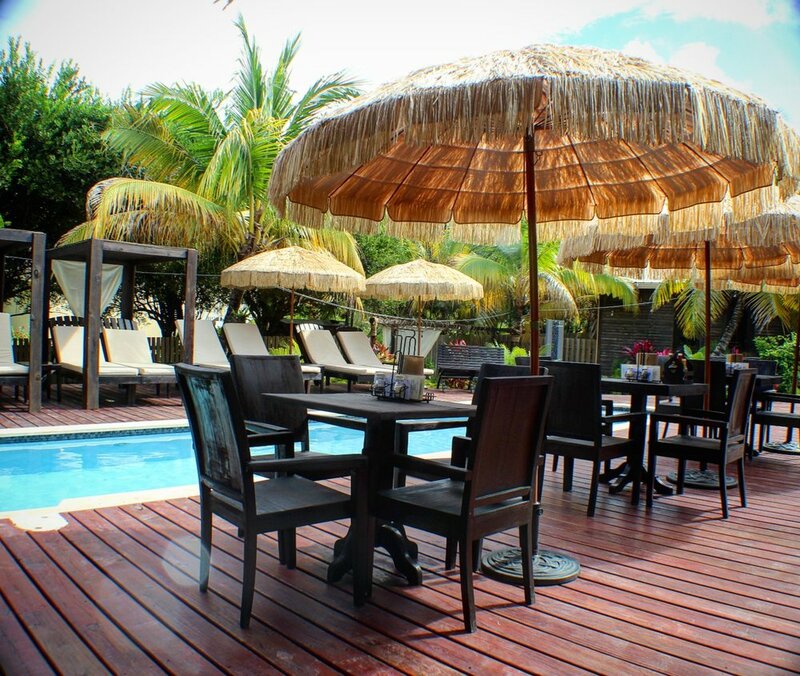 Why Choose PUR BOUTIQUE CABANAS? This is our newest location - our brand won the 2017 Small Hotel of the Year in Belize, thanks to the outstanding guest experience we consistently offer. We are very excited to bring our same level of service to Ambergris Caye! Our boutique cabanas are the best experience you will find throughout the island. These studio-style hotel rooms have the highest caliber finishes, and a touch of glamour, that blends seamlessly with the fresh, hip, energetic atmosphere - you'll feel in the center of it all! Our on-site bar keeps the energy going all day long, or you can relax at the pool area, in your hammock, or with a walk on the beach - 100 feet away is a tranquil path leading you to the shore. 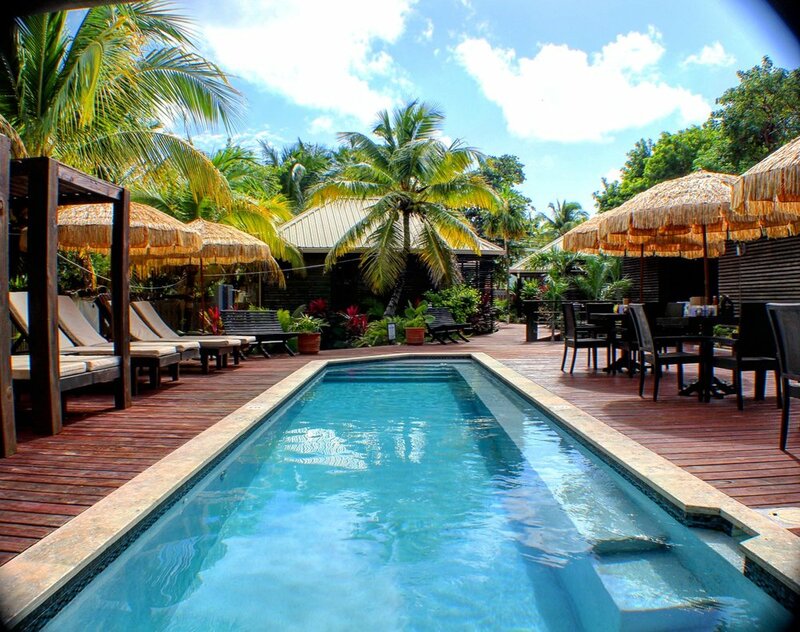 Read HERE why our neighborhood of Tres Cocos is the hottest spot/best experience on the island, and why San Pedro is a world-class vacation spot! Our amenity offerings are some of the best you will find in Belize. If you are interested in visiting both the island of Ambergris Caye and mainland Placencia on your Belize vacation, stay at our award-winning microresort in Placencia - Caribbean Beach Cabanas. Email us at info@purboutiquecabanas.com about our package deal - we offer 10% off room rates for guests who book direct with us (cannot be applied to bookings made through a 3rd party). Follow San Pedro Fun Finder - This Week’s Events to stay up to date on all the fun happenings on the island! Find out more about the Belize experience, Ambergris Caye, and the tours and activities available for your trip! Ready to Book? We highly recommend booking directly from our site, for guaranteed availability and great guest service!